If there is not a quite efficient solution for users to make super clear and accurate dot measurement out of hand reaching distance, unless the use of advanced laser tech applied high power 532nm 200mW green laser diode module, it would be quite hard to achieve desired measurement result as expected. When highly intense and powerful green laser beam is generated from laser beam aperture, only after quite easy adjustment of laser beam focus, this high power green laser dot alignment tool would generate the most compact size green reference dot, and fulfill the highest level of dot aligning accuracy under high lighting and quite long distance perfectly. Instead of the use of formal alkaline battery, there is quite great technical innovation of the adoption of electric power source. On basis of its high power consumption, this 532nm 200mW green laser diode module is using higher operating voltage of 9V DC input power supply, and then providing highly bright and visible green laser light emission in continuous work. Usually it is accepting quite wide range electric current input within 100V to 240V, and then converting lower operating voltage electric power source. When it is workable constantly, this high power green laser is designed with high temperature and strong corrosion resistance, and always assuring highly stable dot alignment under strong static or strong interference etc. Under condition that high stability dot alignment is serious need, high power green laser diode module is being made with high attention to environmental stabilization and high level of beam stability in continuous work. It is employing quite qualified metal heat sink cooling system with separate part designed. Not the same as formal low power range laser device, this aluminum alloy housing made high power alignment laser obtains even larger space for thermal emitting, and then getting the most stable green dot generation in continuous work. When dot alignment is processed in multiple working environments, high power 200mW 532nm green laser diode module is getting nice designed electric wires extension for both module tail part and DC power supply, getting freely installed distance within 0.3 meter to 3 meters in use. In any occasion where some of working place is difficult to reach, noncontact green alignment laser dot is able to be adjusted within three dimensions, and then achieving any vertical or horizontal surface effectively. In constant dot aligning work, in order to avoid hurt or damage from powerful laser light and thermal energy, it is an important issue to wear 532nm wavelength preventing laser safety goggles and get free dot alignment perfectly. If there is not a quite efficient method for users to make accurate enough line alignment in distance, none of other manual line drawing tool or mechanical line alignment tool would be much more efficient than the use of green line laser module. Especially on condition that this laser line alignment tool is equipped with the best quality separate crystal lens, no matter what kind of targeting surface, it is always available with high uniformity green laser beam distribution. The desired green laser line is also available with up to 80% laser beam uniformity and highly level of laser light brightness than formally used glass coated lens or plastic coated lens. On condition that green line laser module is equipped with high quality separate crystal lens, whatever kind of working surface, green reference line is just available with the same line brightness from middle part towards both ends. In addition, in formal working occasion, green alignment laser line targeting is also accepting maximum work distance of 25 meters, which is also effective enough to gain high level of accuracy line instruction on all targeting surfaces effectively. 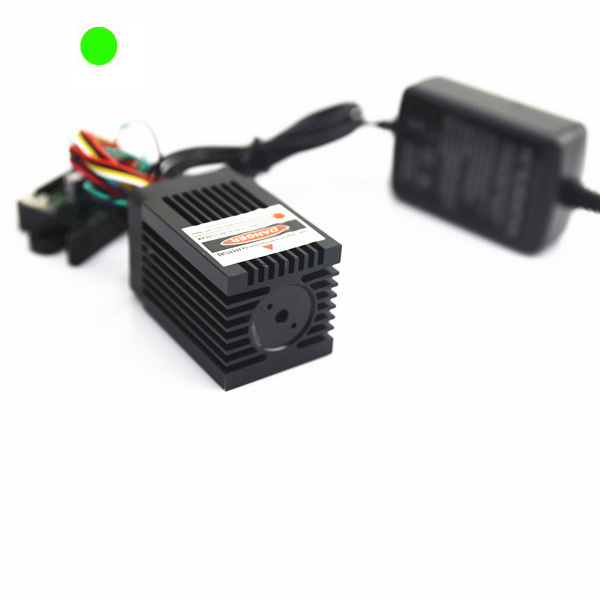 Owing to the good use of metal heat sink cooling system, together with high quality aircraft used aluminum alloy housing material, no matter what kind of working surface, this green line laser module is getting superior nice thermal conductivity, and always maintaining highly stable green reference line targeting under multiple working conditions. Once green laser line targeting is processed under quite lower temperature, it should only be preheated by human hands, and then it will recover its bright enough line alignment in long term use. According to its equipment of external electric power source of DC input power supply, green line laser module gets constant green reference line targeting from laser beam aperture part. It is adopting different operating voltage of 3V and 4.2V, and then supporting maximum output power of 100mW. When different output power range made laser line generator is being made with different size tube diameter, there is always enough space reserving as its thermal emitting system, and then achieving highly stable green reference line targeting in real operation. How would you like to do to get super clear and quick enough line alignment? 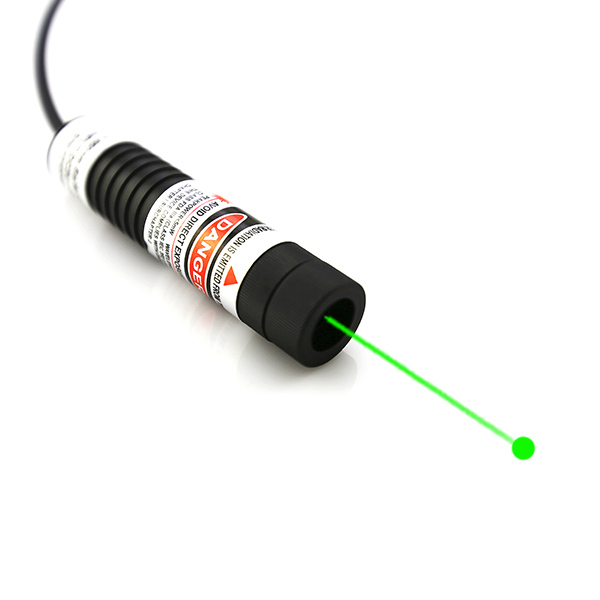 under condition that users are choosing this green line laser module, it should be selected with correct output power and separate crystal lens degree. Owing to its nice equipment of APC driving circuit board, although it is getting quite high power up 100mW, it is still keeping effective intelligent feedback control of provided output power and electric current, and then making sure of constant and reliable alignment laser line targeting in long term use. 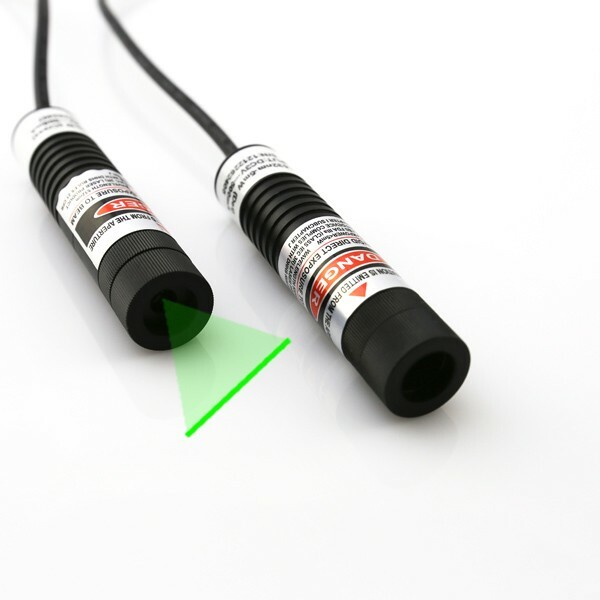 Whenever users are paying high attention to powerful green laser light, and remembering to wear proper laser safety glasses, this green laser module just assures the best line alignment work in use.